We offer a drop–off dog wash service by appointment where one of our floor staff will wash your dog for you. This option is for owners who might not have the time to do it yourself or would rather not deal with the mess. Just drop off for up to 1 hour, run some errands and come pick up your sparkling clean pooch! The service consists of a bath and a towel or blow dry. 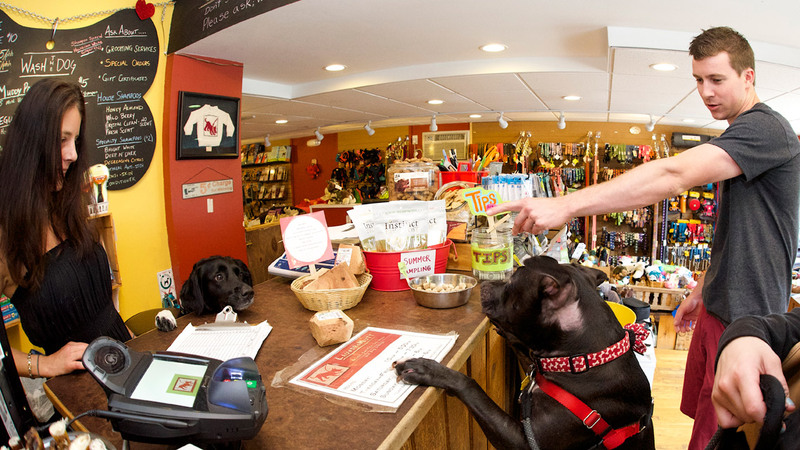 Pricing is just a little more than our self-service menu and we can also clip your dog’s nails! If your dog is muddy, sandy or stinky, this service is for you. For professional fur trimming and haircuts as well as extreme matting, we will direct you to our full-service groomer. This service is only offered on weekdays. Please call at least a day ahead to schedule. Pricing ranges from $29-$39. There may be an extra charge for extra large breeds or long coats. We can also clip your dog’s nails for $12!